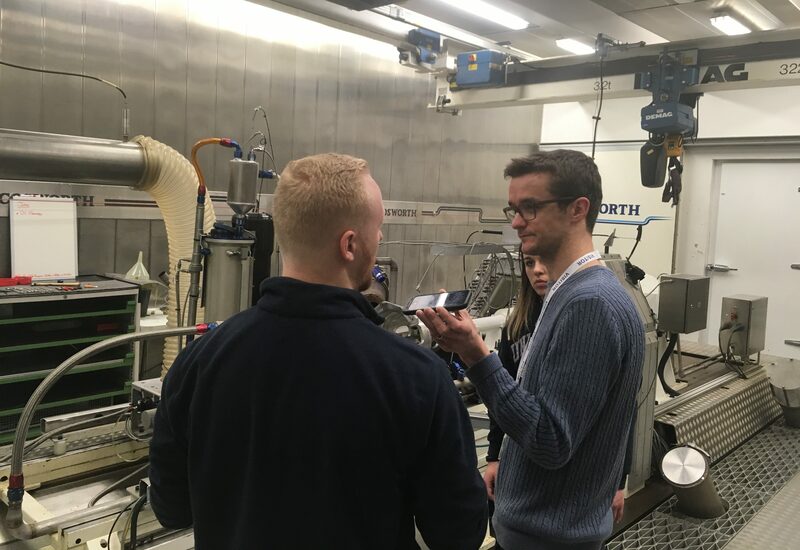 Our successful apprenticeship scheme has recently been put under the spotlight as part of a BBC feature on British Science Week (8-17 March). The annual celebration of science, technology, engineering and maths allowed us to showcase the positive attributes of our long-running apprenticeship programme. Run in collaboration with Northampton College, the scheme offers credible placements for students looking to forge a career in engineering with Cosworth. 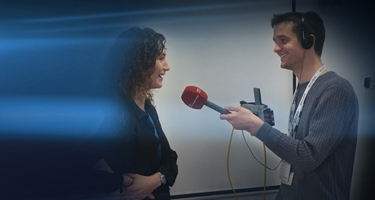 As firm advocates of young people studying STEM subjects, we were delighted to discuss our activities with BBC journalist Tom Percival, and to put some of our current apprentices and graduates in front of the microphone in a live interview setting. Of our current apprentices, Tom heard from Callum Jervis, Tom Ward and Gabby Maia, all of whom gave a good account of themselves – and the business. 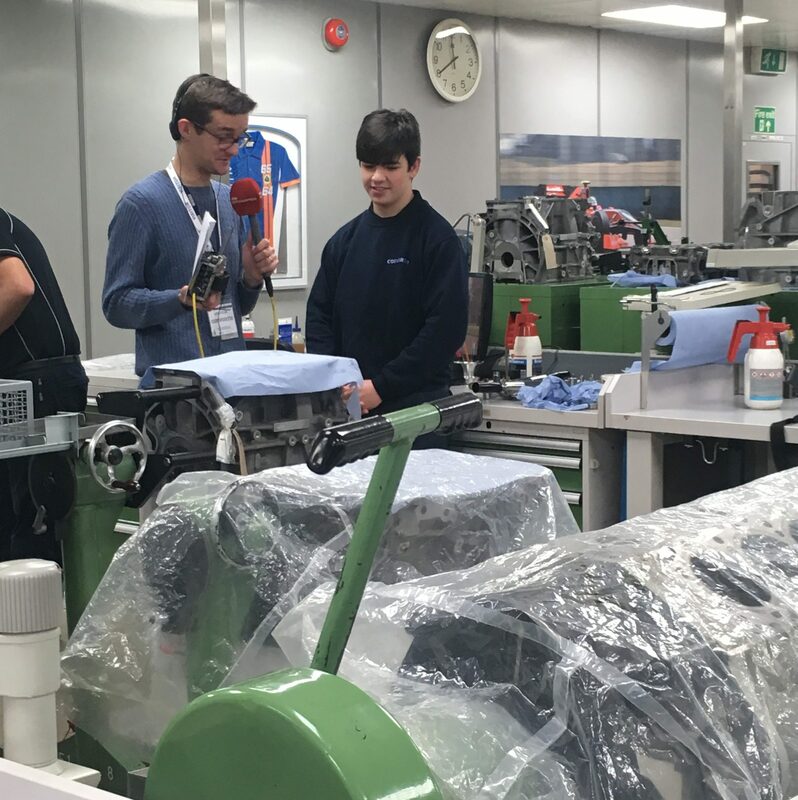 “Working at Cosworth has been great,” said Callum, whose mentor Steve Smith was also on hand to explain the benefits of our apprenticeship initiative. It’s not just apprentices who can thrive in our working environment. Graduates, too, form an important part of the workforce. “I always wanted to be an inventor as a kid,” said Hazel Coates, Graduate Design Engineer. “I’ve always liked making things and being creative and doing arty things and that combined with a love of science. When I was in school it seemed like the perfect combination to become an engineer.